← Large Blue Object Falls Rapidly in Sky & Vanishes. View Clip of Flickering Multicolored Light (YouTube). STILL IMAGE OF FLICKERING MULTICOLORED LIGHT EXTRACTED. multicolored star. 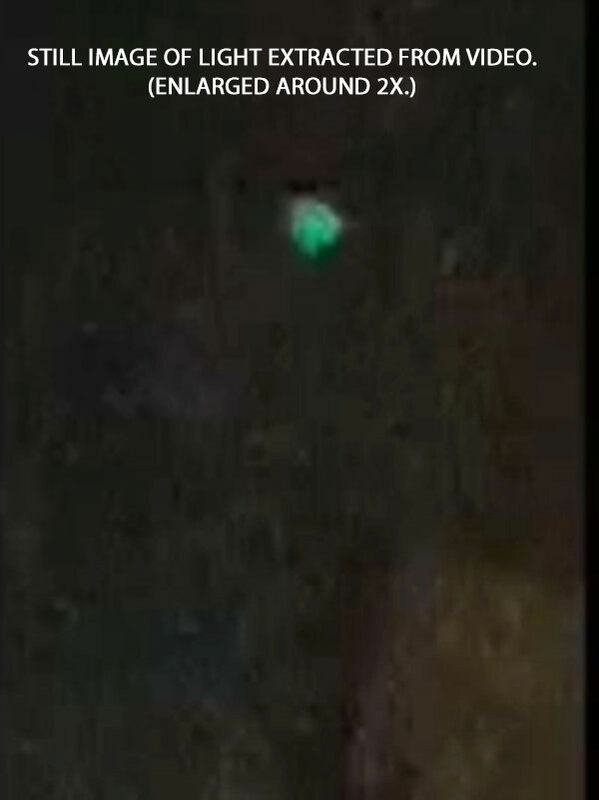 Then I grabbed a camera and zoomed in and then it was looking like a flashing multi color dots with a ball (orb like) of white electricity around it. Then it disappeared (like sucked through a portal) with dust looking stuff around where it was and I got scared and when I looked back again it was back. Note: The video does not show the triangular configuration of lights. It shows a stationary light flickering in different colors. The video also shows that the photographer zoomed in on the light. This entry was posted in bright light, Formation of Lights, Photos, Triangular Craft, UFO Sightings 2019, UFO Sightings Tennessee, Unidentified, Video Clips and tagged Flickering light, Multicolored. Bookmark the permalink. 2 Responses to Flickering Multicolored Lights in Triangular Shape. I am not sure if this would be related. My girlfriend and I got in the bed around this time. Our Chihuahua sleeps at the foot of our bed. The door to our bedroom was left cracked open which didn’t give me a full view of the other room. However, shortly after closing our eyes he began growling at something with his eyes on the crack of the doorway. His position at the foot of the bed offered him a better perspective. My girlfriend never said a word, but her eyes were open. My hand hovered over the gun on my side table, but I made no other movement as I kept my eyes on our dog. I couldn’t see out as well as him, so I just assessed his reactions. Then, he began to rear up a bit. As this happened, the light exposed through the crack from the other room began to lessen. We also have an opening above our bedroom door that exposes the light on the ceiling of the other room. When the light began to lessen it had movement to it. Not in the way of a light flickering or dimming, but more as an extremely large shadow or black blob transitioning from one area to another. I immediately sprung from the bed at this moment believing we had an intruder, but I never once heard a peep. With my gun drawn I exited the bedroom and surveyed the entire house, closets, under furniture, etc. There was nothing to be found. At that point there was nothing more I could do. I returned to bed. The next morning we didn’t mention it. Went to work. After coming home I said, “that was some spooky stuff last night”. Without telling her exactly what my peripherals caught through the crack in the door way, she told me her eyes were focused on the opening above the door. What she described was the blackest shadow moving across the ceiling. What really blew my mind is that she said something odd followed me back into the room when I returned. I was completely unaware of this. She described it as the sort of distorted waviness that heat puts off on a hot summer day. She said it was right at my back all the way up to the bed and then dissipated as I got into the bed. However, this thing did not project a darkness or shadow as the first thing did. This is all still so surreal. Nothing odd since. What I see is a out of focus video of a “light” at night, which could be anything. It could be something stationary, like a tower light, or a flickering star close to the horizon.